We're not here to judge but to accept you at Nankin Community Church. Nankin Community Church proudly serves Ashland and the surrounding community, providing a safe refuge for those who want to deepen their relationship with God. A member of the United Methodist Church, our congregation is all-inclusive, friendly and warm. We come from all backgrounds, all ethnicities, all age ranges with a single purpose in mind -- to worship the Lord with all our hearts. Join us this Sunday. We'd love to meet you. Nankin Community Church is a place of solace for people of all ages. We offer activities for children through adult, including pancake breakfasts, couple's nights, family nights, Christmas Eve Candlelight Service, Easter Sanctuary Service and more. 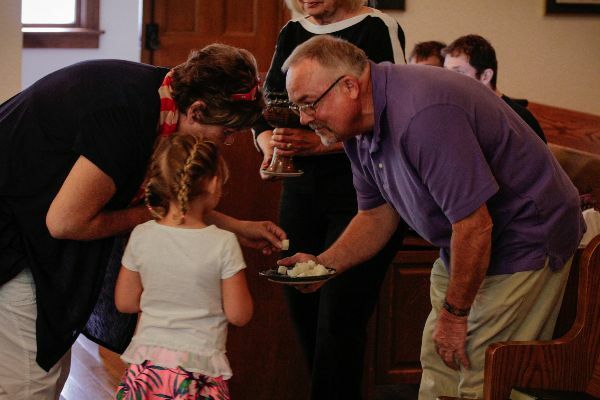 Fellowship and community play vital roles in the United Methodist doctrine, and Nankin Community Church strives hard to ensure that there's something for everyone who blesses us with their presence. Whether you're young, old, single, married, in a relationship, divorced, separated, happy, sad, angry, or just numb -- Nankin Community Church welcomes you home. God is waiting to work miracles in your life, and we'd love to be an instrumental part of the process. Come join us today in all our errant ways, our outrageous flaws, our tendency toward sin -- our humanness. You have friends waiting here. "He gives power to the weak, and to those who have no might, he increases strength. Even the youths shall faint and be weary, and the young men shall utterly fall. But those who wait on the Lord shall renew their strength; they shall mount up with wings like eagles. They shall run and not be weary. They shall walk and not faint." -- Isaiah 40:29-31.